I'm glad to come here as a new member. I'm a new baker. 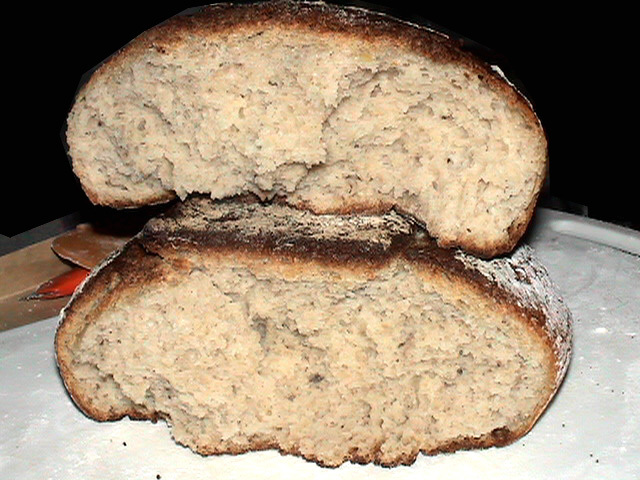 I just start baking western bread from 1 month ago. I find here 2 weeks ago when I want to find pot bread. I like here many charming breads. 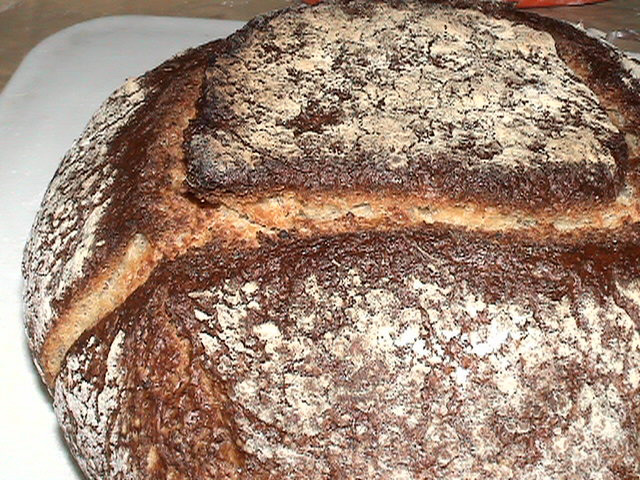 And I'm very interesting with here Tartine bread pot experiment now! 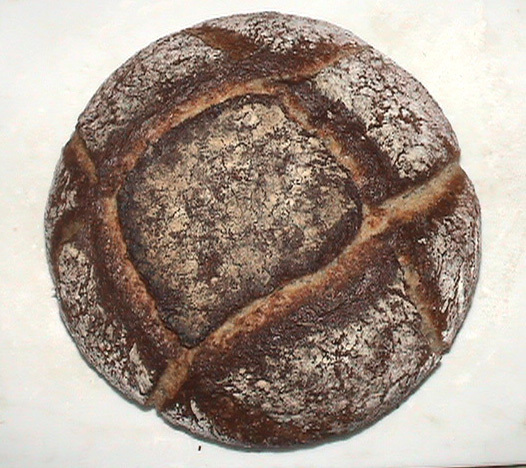 Thanks for information about baking bread. Thanks for this website organizer. I want to take dumpling in this weekend. So I buy pork and celery. Daisy_A ask me if I know char siu bao. I know this South China bread from my tongue. I been take this in restaurant when I stay in Guangdong. The char siu pork is my favate dish in Guangzhou. But here Beijng no many char siu. I been try to baking this pork last month. It's not same with restaurant. But already ok. Package,pack, bundle; packet; parcel;bag; yurt all call "Bao" in China. 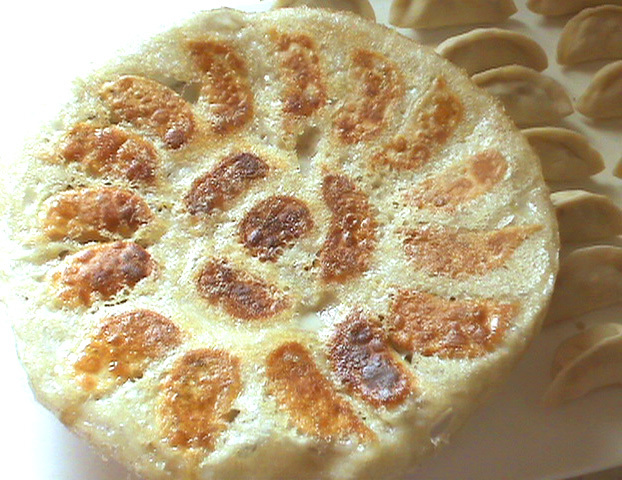 char siu bao is wheat flour parceled with char siu pork. Many people no take lunch and dinner in Guangdong. They like to take morning tea with small cake and midnight snack with big dish in restaurant. So Guangdong have many delicate snack. char siu bao so popular and came from Guangdong. So normally char siu bao meaning Guangdong style char siu bao. Pork mix with BBQ sauce, 2 OR 3 days later, Brushing liquide on pork, 200 degree 35-45 minutes. 3 or 4 time Brushing liquide. 4.Cornstarch 1T mix with 2T water. 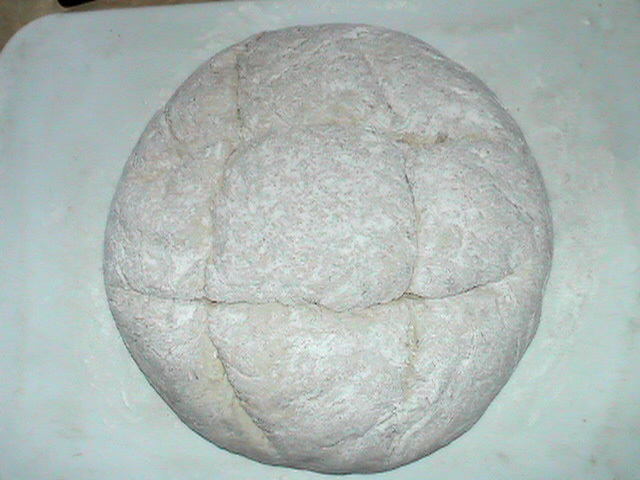 Dough: 250g all porpose flour 125g water 4g salt 1 egg white, knead 3 or 4 time every5 minutes at first. Can add little water. 50% dough to 60% dough all ok.
wrap dumpling: Waitting about 30 minutes, kneed and making the dough to a long strip. cut to small pieces about 2cm diametical 2 cm long. rolling pin make it to about diametical 7Cm. put vgetable,after BBQ pork,after close the dumpling. If it dry ,can use some water for easy making. 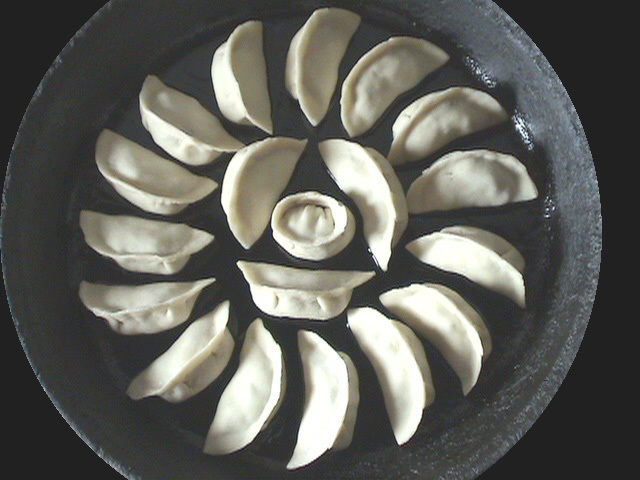 1T plant oil on Pan, medium heat,place dumpling as flower looking. Move the pan often. when bottom get yellow colour, pour into wheat flour water on pan. cover tha pan. Move the pan, all the place same heat. After 5 minutes for cooked meat and vegatable, 10 minute for no cooked meat. open cover,stop heat. 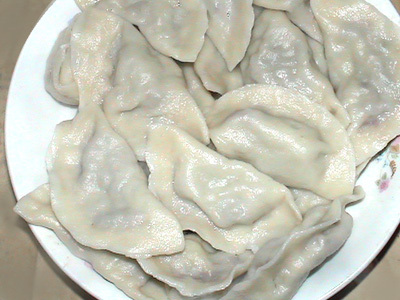 Take a big plate, cover the dumplings, and the pan cover the plate quickly. Ice flowers fried dumpling coming. It's Chinese festival food. 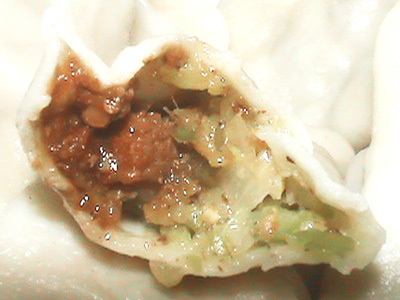 Boiled dumpling: After water boiled, Put dumpling to water. High heat until boil then low heat and add cold water, boil again, add water, until dumplings as ball floating on water. 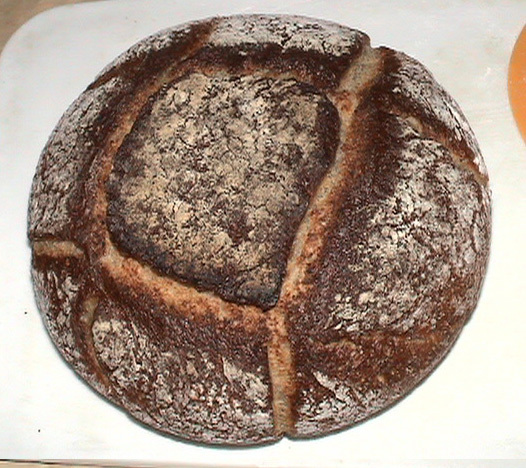 I also use my electric cooker aluminous pot baking my pot bread. 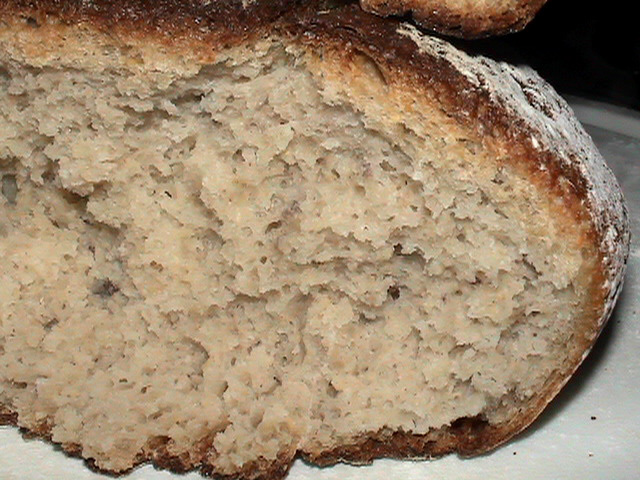 This bread I use many DIY material: I use millet rose ferment(I made in 1 week ago) mix with soy bean and ginkgo dregs(residue from beans after I making tofu) and full wheat (11/3cup all purpose wheate 11/3 cup whole wheat no bran and 1.5 cup whole wheat with bran ) 80G 100% yeast(20g all porpose flour 20g whole wheat flour). I use about 350Ml wine and 50 water. ferment and bean dregs all wet. So my dough more than 80% water flour I think. And in room 14 degree 12 hours it's already big up. I think maybe from my wine. I take it out room. It's already cold enough outside. About 33 hour later. It's more big. I take back room in 14 degree. After I finish my Chashao Bao lunch. I remember my big bread. It's already very big and sticky.So I preheat my oven with pot in 200 degree in 10 minutes. 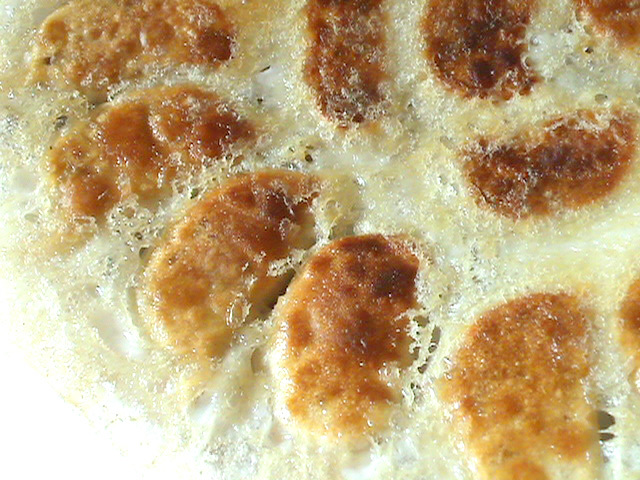 After I take dough to hot pot close lid 250 degree 20 minutes. after I take the lid away, 20 minutes 210 degree. After I take pot over and move bread 10 minutes again. After I turn the bread top down. top heat 200 degree open 10 minutes. After stop I open the oven door. Not so happy feeling. so I open oven 200 degree 10 minutes again. After really stop,I open oven waitting about 5 minutes. I take the bread out. And quickly open it. The time from I start his dough already 48 hours. Thankyou for posting your lovely bread and bao they look extremely interesting and something i would like to have a go at making. im sure there will be many TFL people that will be inspired too. Thank you for you kindly reply. For making bread I'm a new student. I always make mistake. When I take this bread to oven. It's already very big loaf. After I found it's no grow many in oven. And I baking a long time. When I took out I no find big crack. I'm happy you like this dumpling. This bao very delicious. where can i find chinese fonts? Talk with me in English no problem. When I travel in other countries nobody talk with me in Chinese only English. Of course it's different with motherland english and profesional baking English. I'm happy if you talk with me in Chinese(^_^). You want typing or you want translator of Chinese? I use google viewer translator just from 3 days ago. When I search in internet for get recipe, Many language can translate to my mother language. Even some no correct. 60% words already tell me what is that. Cha shao bao, Cha siu bao, BBQ Bans or steamed bun stuffed with barbecued roast pork?